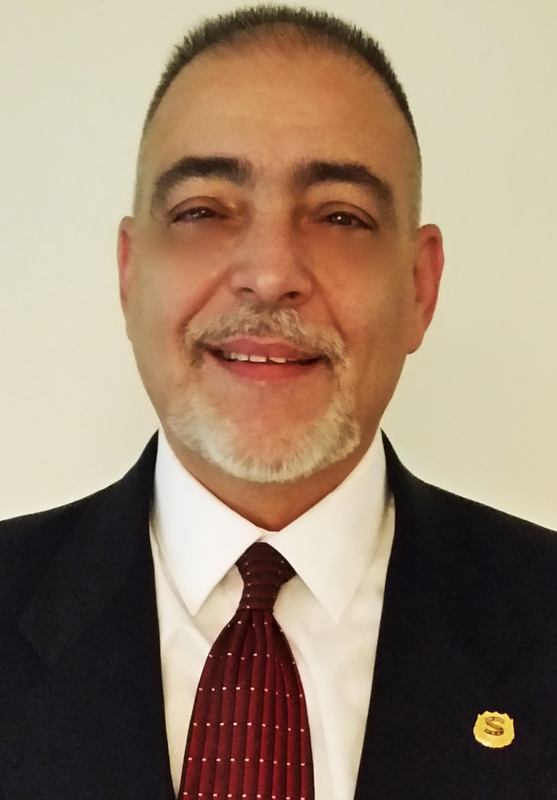 A Certified Chiropractic Sports Physician, in practice for 32 years, Dr. Demetri Meimaris is a 1984 graduate of Palmer College of Chiropractic, in Davenport, IA–the founding college of the chiropractic profession. Operating under Meimaris Sports Chiropractic and Physical Therapy in Hackensack, Bergen County, New Jersey. Dr. Meimaris’ postgraduate work at New York College of Chiropractic for Sports Certification and Diplomate Sports Physician Candidate, 1993, 1995 respectively. His chiropractic practice employs a vast knowledge of sports and accidental injuries as well as clinical expertise that is admired by his peers. He utilizes Palmer diversified and Cox flexion-distraction technique. He is onsite a physical therapist, Cherylynn Garcia, DPT, both with a strong background in referrals to other professions including but not limited to orthopedists, neurologists and pain management specialties. He specializes in sports injuries and auto accident pain management. He also employs manipulation under anesthesia when required for those especially unique and difficult cases. Dr. Meimaris’ main practice location is at 31 Mercer Street, Suite 1a, in Hackensack, NJ–near Hackensack University Medical Center. That number is 201-487-3131. Formerly having an offices in Englewood, Kenilworth, and Mahwah has moved and invited his patients to join him in Hackensack, promoting functional based treatment which includes working with patients who lack conditioning or have had medical set backs. The practice is not limited to sports injuries. This falls in line with delivering the usual gold standard of chiropractic care as Dr. Meimaris always has. The north New Jersey office is centrally located in Hackensack just north of the Bergen County Courthouse on Mercer Street which is between Main Street and State Street. Located just off Routes 4, 17, 46 and 80. Dr. Meimaris is on the forefront of taking care of our First Responders. While on the job, First Responders are subjected to many physical and emotional triggers/stresses encountered on a daily basis, for this, Dr. Meimaris has specific plans in place for all Public Servants. The same focus on patients who are athletes, with management of professional and semi pro athletes for Wrestling, (Greco-Roman); Brazilian Jiu-Jitsu (BJJ) and Mixed Martial Arts (MMA). He provides chiropractic care for pro MMA fighter Katlyn Chookagian, a/k/a #BlondeFighter, and UFC Bellator Bantamweight Champion Joe Warren. He was sports chiropractor from 2011 to 2015 former UFC World Champion Ricco Rodriguez, and from 1991 to 2003, Team Doctor for the USA Karate National Team. Prior to martial arts, Dr. Meimaris served as the Team Doctor for Wrangler Pro Rodeo PRCA, International Hispanic Soccer League of New Jersey and New Jersey Gators Swim Team here in New Jersey and an Olympic Swimmer at The World Games in SUNY Buffalo. Dr. Meimaris utilizes Palmer diversified technique and Cox flexion-distraction techniques for treating contained discs. Dr. Meimaris remains abreast of new developments within those techniques and is always individualizing plans for his patients–many of whom are athletes. In addition to the treatment of sports-related injuries and maintaining optimum body mechanics and function, he teaches the patient the kinematic chain (how the body parts relate to one another in an athletic arena). Dr. Meimaris is in-network with numerous insurance plans, including Qualcare, Horizon Blue Cross Blue Shield of New Jersey and Aetna. He also accepts most credit cards as payment for services rendered. For those without insurance, there are cash plans for self- pay patients are available. Dr. Meimaris….with your kind permission, I am stealing your “the amount of life and health you’re entitled to….” Great site…Dr. R. Alexandria, LA. That’s ok Gary! “Stealing wisdom” is recommended, after all, I stole it from my teacher, Dr. Burl Pettibon! Sports Chiropractic Practice is known throughout the Northern New Jersey area as one of the top Medical Facilities for Chiropractic Sports Medicine. On August 23, 2013 my back pain was so severe, Dr. Meimaris and my son Aaron, had to both hold me up to get me into his office from the waiting room. On a scale of 1 to 10, my condition was at a pain level of twenty! I thought that I would be in surgery the next day! Dr. Meimaris explained in detail to me before starting my therapy a plan for rehabilitation, after carefully reviewing my (M.R.I reports), and evaluating my (M.R.I. & C.D. disc), from my Orthopedist and my M.R.I imaging center. Dr. Meimaris was so confident and knowledgeable that he made me feel comfortable that I was going to be treated with the proper pain management plan. After several treatments at Sports Chiropractic Sports Practice my mobility increased, my back pain subsided, and Dr. Meimaris helped me emotionally with positive reinforcement. If you’re going to choose a Chiropractor l would highly recommend you place your total health in Dr. Demetri Meimaris hands. Contact and make an appointment today at (www.drmeimaris.com), and stop the pain and the concerns that come with choosing a chiropractor. I don’t know what I would do without Dr. Meimaris. All I can say is you are in the hands of the best! Hi – I can’t seem to find any contact information. Wondering… how do you treat patients with symptomatic Tarlov Cysts? There isn’t an easy response to the question. Each patient is reviewed on a case by case basis and not all patients qualify for my methods of chiropractic treatment/care. Required for submittal prior to consultation are patient records. After we received the records, you will be scheduled for a consultation and/or an examination. Final approach to care would be based on imaging studies, history, review of systems and a complete examination of the spine which includes but is not limited to chiropractic, neurological and orthopedic tests.